Fall is a great time of year ! The weather is cooler and the colors are warm. This time of year and the sketch challenge at Hand Stamped Sentiments inspired me to create a card with the Painted Harvest stamp set. I stamped the sunflowers and foliage at the corner on Very Vanilla and fussy cut them. I also stamped the leaves around the sunflowers and die cut with the Leaf punch. The sentiment is also from the stamp set and the banner end is die cut with the Banner Triple punch. The DSP layer is from the Painted Autumn Design retired collection. For added sparkle I used Clear Wink of Stella on the sunflowers, basic rhinestones on the background and gold metallic thread behind the sunflowers. Stop by Hand Stamped Sentiments and see more inspiration from the design team. 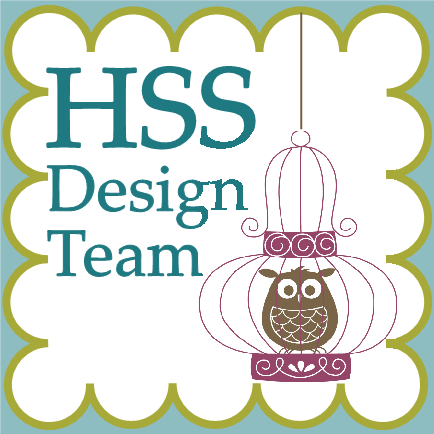 I love owls so I was super excited to see the Still Night bundle in the new Stampin’ Up holiday catalog. The bundle includes a stamp set and coordinating thinlits dies. The card I created is also for the Hand Stamped Sentiments sketch challenge. With this bundle you can create Halloween or Christmas cards. For my card I created a Christmas card. I used the Woodland Textured Embossing Folder for the background. I die cut the owl and branch with Whisper White and Early Espresso. I used the Early Espresso die cut to create a shadow behind the white. The leaves were die cut from Garden Green card stock. The sentiment was stamped with Garden Green ink then die cut with the oval from the set. To add to the snow background I colored the background with Clear Wink of Stella. I included a close up photo with different light so you could see the Clear Wink of Stella. Go to Hand Stamped Sentiments to see more projects created by the design team and join the challenge.